It’s reported that police are investigating evidence that the chief executive of a key organisation that campaigned for Brexit allegedly committed criminal offences during the 2016 referendum. This comes after the Electoral Commission fined Leave.EU the maximum £70,000 for multiple breaches of electoral rules. Mr Banks has refuted all the findings of the Electoral Commission. “The rules we enforce were put in place by Parliament to ensure transparency and public confidence in our democratic processes. 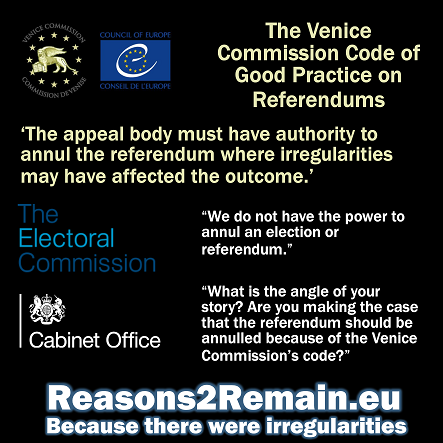 “It is therefore disappointing that Leave.EU, a key player in the EU referendum, was unable to abide by these rules. 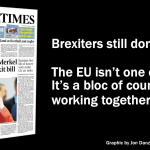 Members of the Commission are “senior academics, particularly in the fields of constitutional or international law, supreme or constitutional court judges or members of national parliaments”. Representing the UK on the Commission is Jeffrey Jowell, Professor of Law and former Dean of University College London. The work of the Commission in the field of elections, referendums and political parties is steered by the Council for Democratic Elections (CDE). The CDE is made up of representatives of the Venice Commission, the Parliamentary Assembly of the Council of Europe (PACE) and the Congress of Local and Regional Authorities of the Council of Europe. “National rules on both public and private funding of political parties and election campaigns must be applicable to referendum campaigns. “As in the case of elections, funding must be transparent, particularly when it comes to campaign accounts. 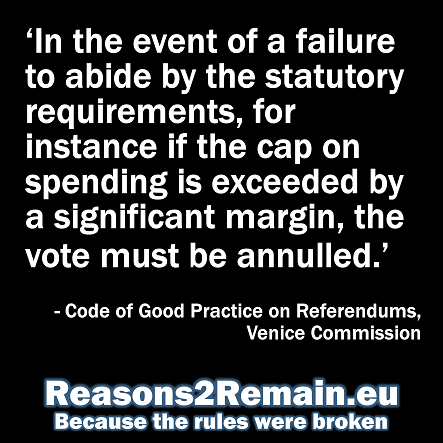 “In the event of a failure to abide by the statutory requirements, for instance if the cap on spending is exceeded by a significant margin, the vote must be annulled. The Code, however, is a guide only, and not legally binding. 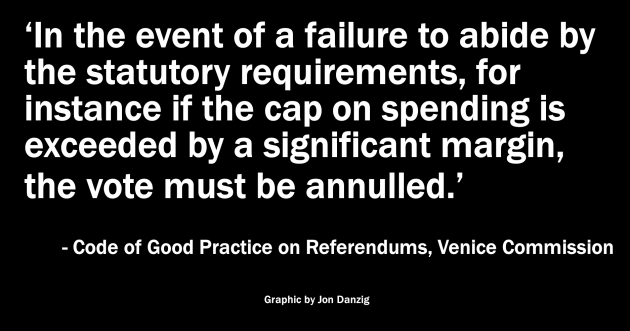 It’s also not clear whether the referendum overspend by Leave.EU of “at least £77,380” would represent “a significant margin” to warrant the referendum vote being annulled. 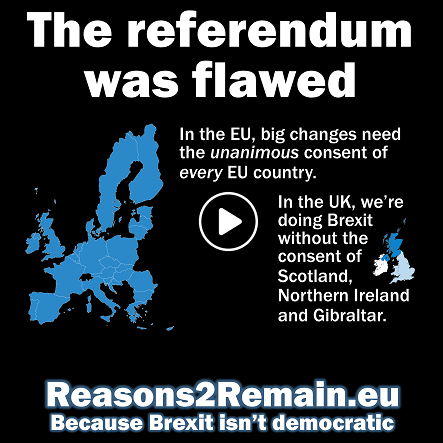 However, it’s now becoming clearer that the referendum campaign was seriously flawed, with overspending by Leave.EU that broke election law, and allegations of criminality, on top of all the lies and mistruths that the Leave campaigns had to rely upon to win the referendum. 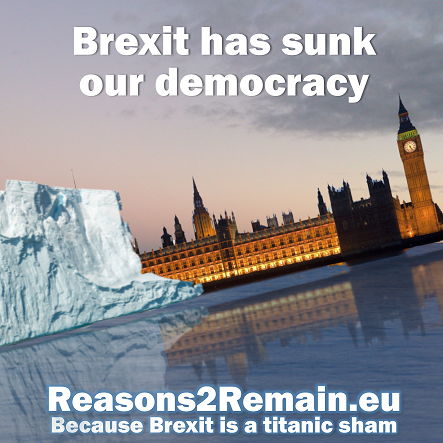 This entry was posted in Current Affairs, Democracy & Citizenship, Law & Justice, Politics & Public Policy, The EU and tagged Aaron Banks, brexit, Council of Europe, Electoral Commission, electoral law, Leave.eu, Nigel Farage, referendum, Venice Commission. Bookmark the permalink.